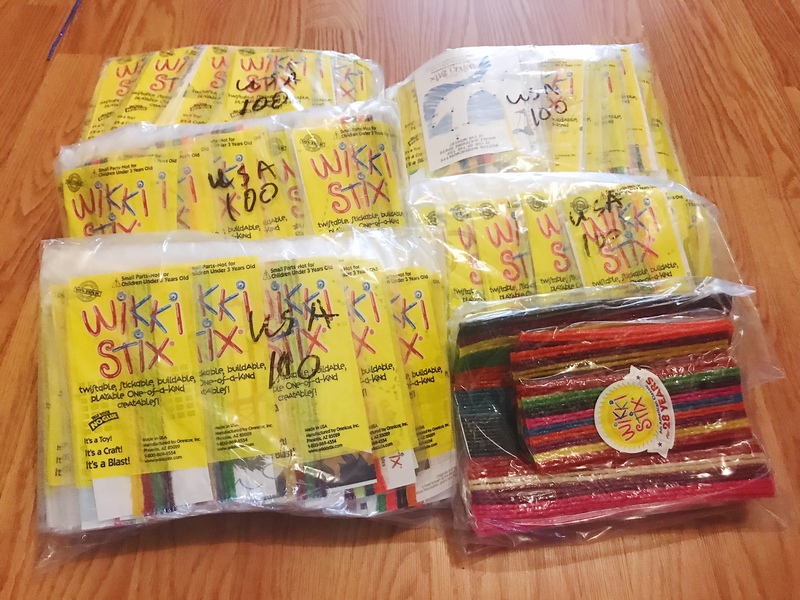 We love our Wikki Stix! 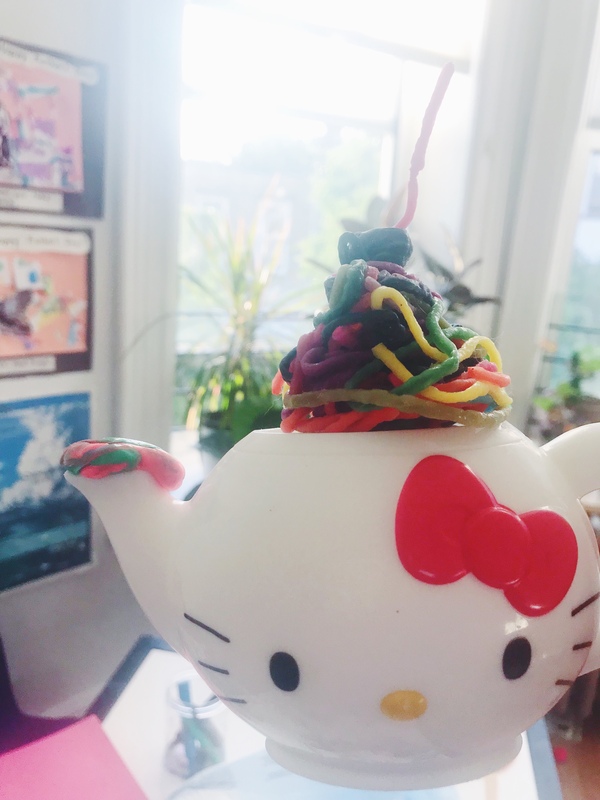 Hello Kitty Cake with Candle, Storytelling and Loading up on the great sale the have going on for the USA State inspired Travel Packs- it’s nearly half off their website, pack of 100 mini packs. You can find us handing these out for birthday parties favors, in the class holiday favor packs I make , BBQs, restaurants and pretty much to all the kids we meet! 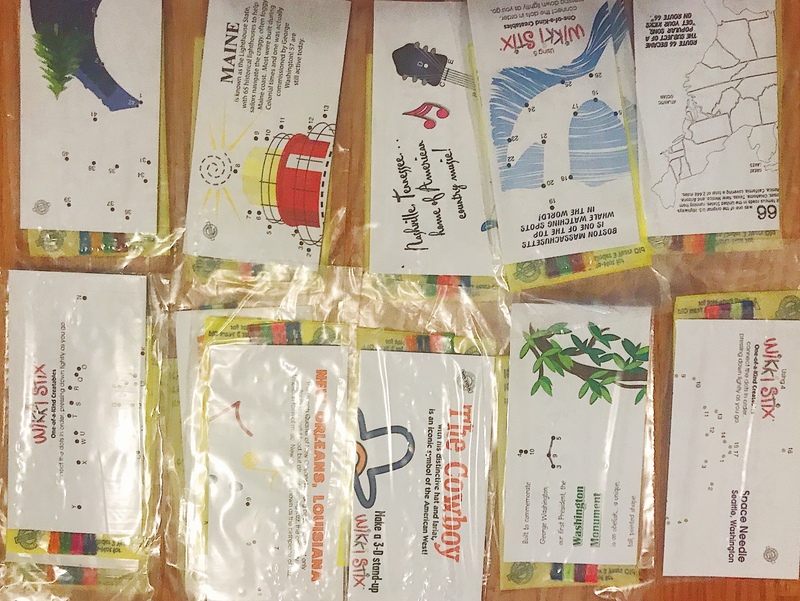 With the USA States favor packs, I’m obsessed because they give you a little about each state and a prompt to create something state related with the info activity sheet it comes. 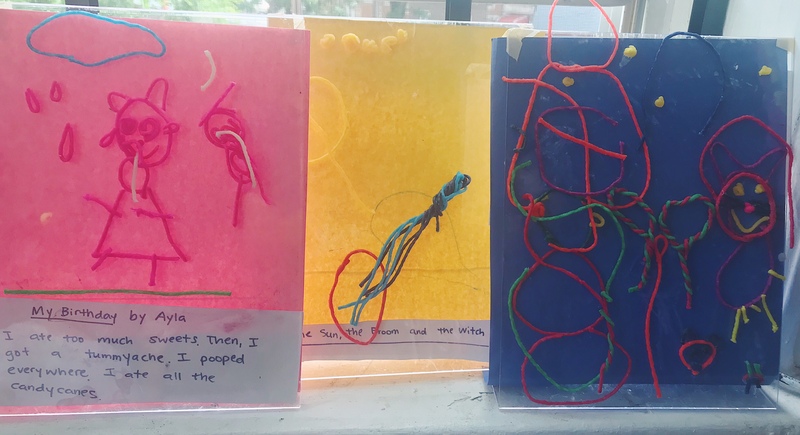 Our favorite boredom’s buster on the go because it’s light and easy to carry; it can propel their imagination, foster learning in a fun, interactive and hands on way. 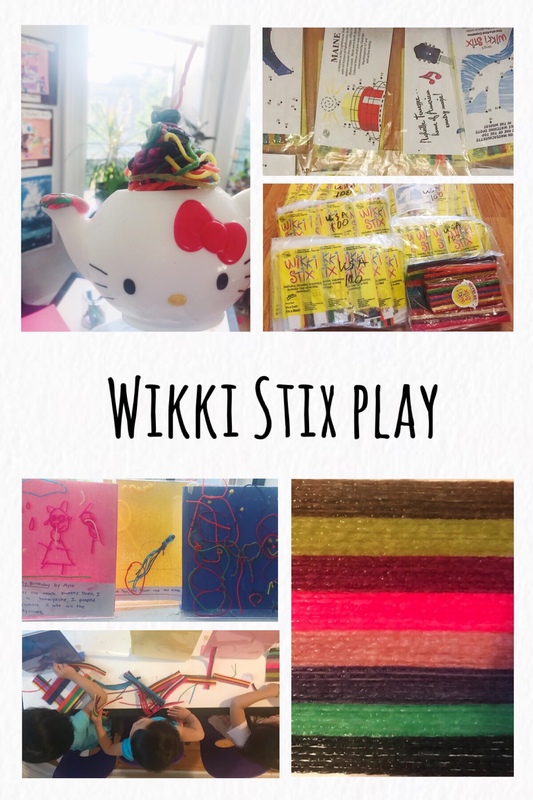 What are your favorite things to make with Wikki Stix? Previous Previous post: Cold Brew on Tap!